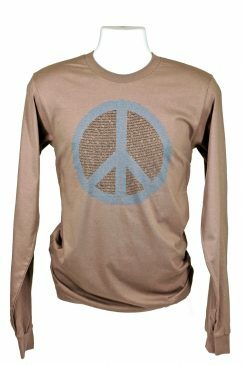 Peace be with you in this Peace symbol design built entirely out of quotations on the subject of internal and external peace! This design contains some of the greatest things ever said or written about peace from some of humanityâs greatest leaders and philosophers. 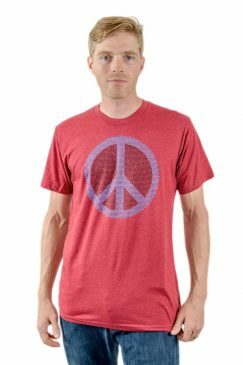 When you are wearing your peace shirt it is our goal that you find all the paths to peace in your own life. World peace is possible. It starts with you.